Omakase experiences are common, but one that allows you to choose your ingredients out of a list is rare. 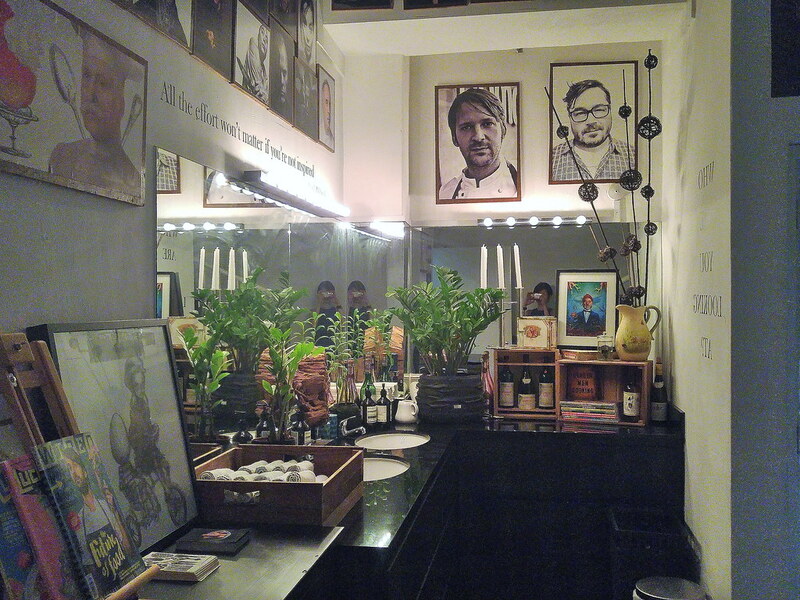 That makes the first Chef's Table Only Restaurant in Singapore by Owner and Chef Stephan Zoisl, unique and intriguing. Over here, without having to step out of this island, you get to try dishes crafted using some of the best of seasonal produce and gourmet products from around the globe. Part of the Chef's Table experience includes having the chefs serving the dishes right up to your table personally, and share with you the philosophy behind each dish. With such friendly chefs, you are also encourage to interact with them at their open kitchen, if you are curious to know what's going behind your food for the evening. 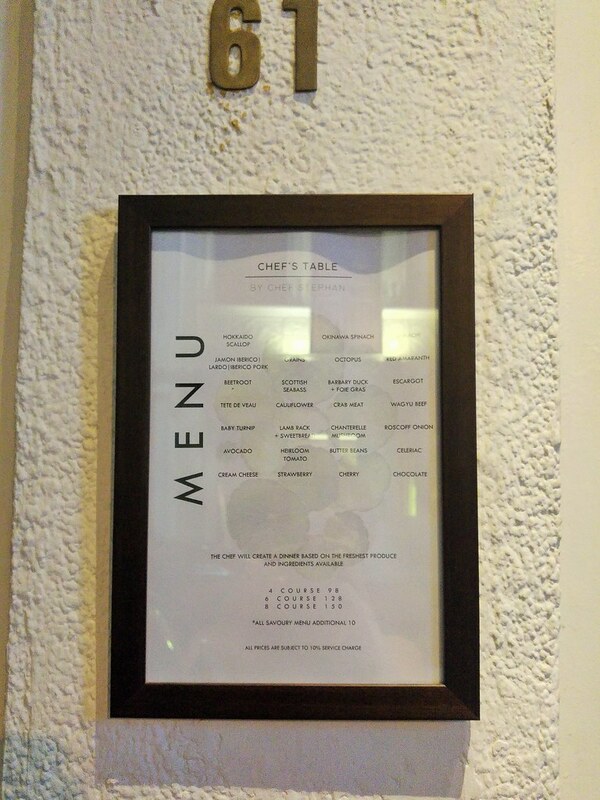 With 28 ingredients on the menu, cross out those that you are not keen to have on your plate, then leave the rest to the chefs to work their magic. Chef’s Table by Chef Stephan offers three menus, 4 course at $98+ per person, 6 course at $128+ per person. For starter, we had Crabmeat with Cucumber and Cucumber Flower. 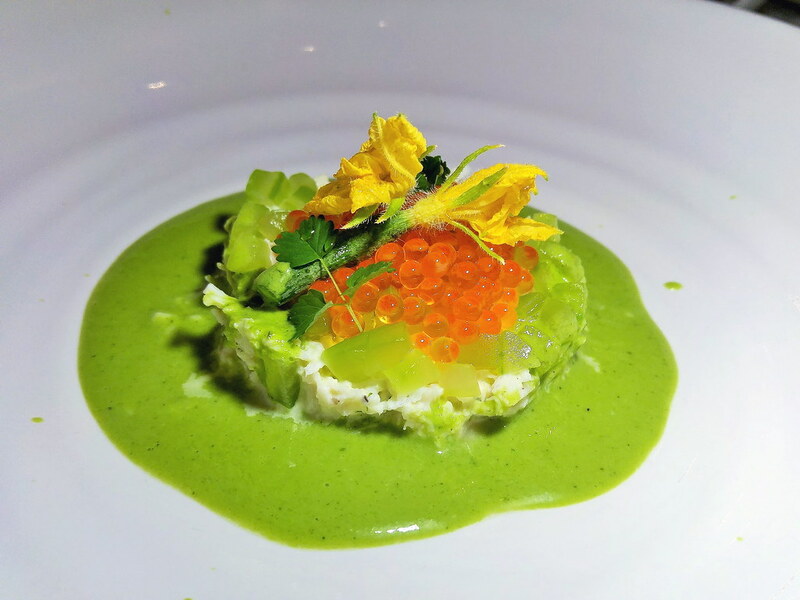 Chefs came forward and poured a portion of gazpacho of cucumber and yogurt over the crabmeat. I was awed by it. The crabmeat, aromatic with dills, was sweet and savoury. Every bite into the bright tobiko pearls was a surge of flavour. Before it turned too savoury, the diced cucumber and the cold Spanish soup drew it back with their sweet and refreshing flavours, along a light touch of astringency from the microgreens. 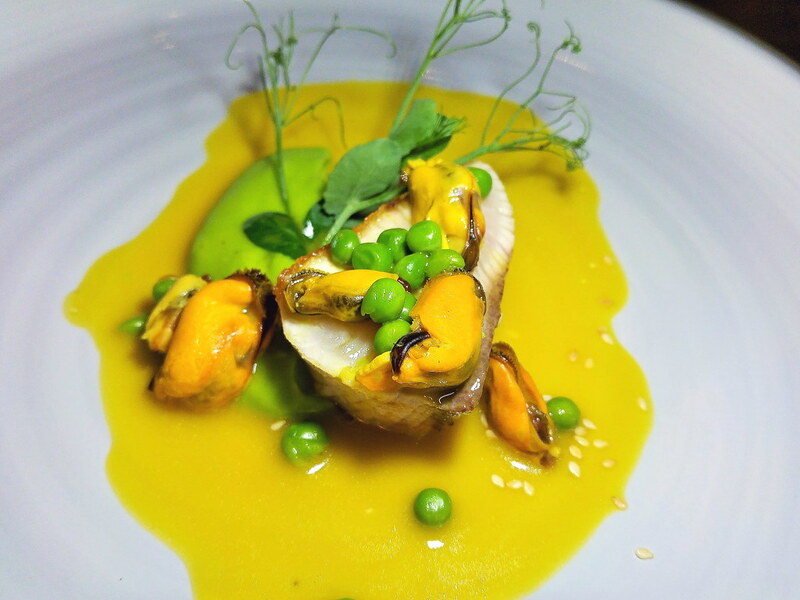 We slowly built up our appetite with a light main - Hamachi with Peas Puree, Bouchot Mussels and Saffron sauce. I googled and learnt that this specific type of mussel was grown on ropes strung from wooden poles in the sea, resulting in grit and barnacle-free mussels with full meats and a cleaner flavour. Indeed, the mussels doesn't taste briny at all. Instead, it is plump with a sweeter and sharper taste than usual, giving nice punches to the oily Hamachi. Every dish is indeed a surprise. 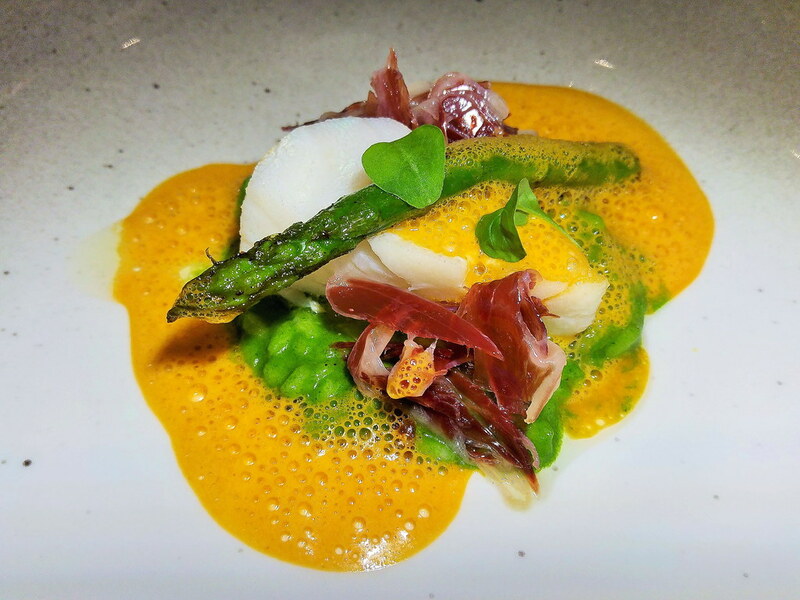 The next item is crafted with an another unusual combination of Cod Fish with Parsley Risotto and Jamon Iberico. Once again, chefs poured the mustardy Lobster stock over the lush green and dark red. Just like the mussles, the savoury Jamon Iberico punches intensity into the sweet, buttery cod, while the herbaceous risotto, being firm and chewy, supports these heavy-weights with a nice textural contrast. Meat was introduced to us subtlely with Veal Ragout, served with White Butter Bean Puree, Horseradish, Mustard, and a green highlight by Salad Burnet. 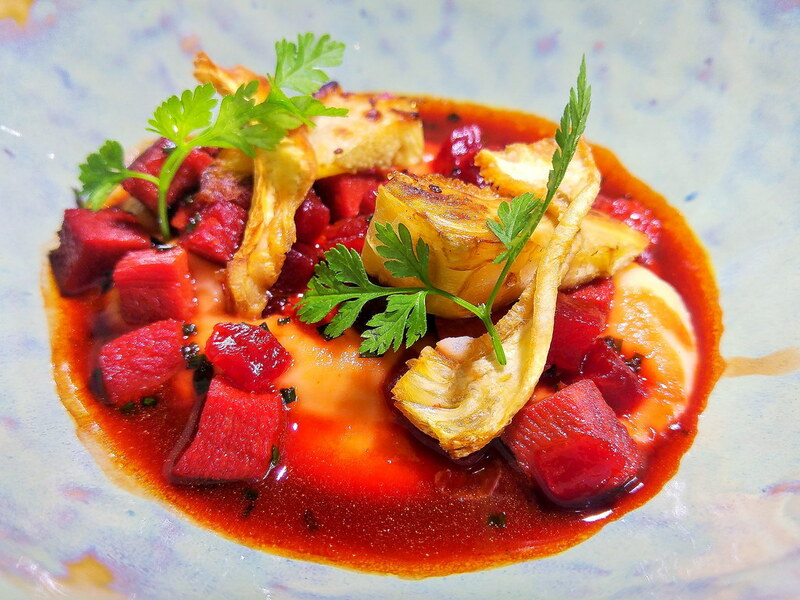 With such a tangy profile, this meat dish is oddly light and appetising. Diced into similar size as the pickled beets, eating veal's tongue in this manner is alot less intimidating. It has texture like luncheon meat, meaty and chewy, hence in every mouthful, I had a mixture of crunch, mash and chewiness. The grilled horseradish, though small, surprised my taste buds with its charred bitter-sweetness. 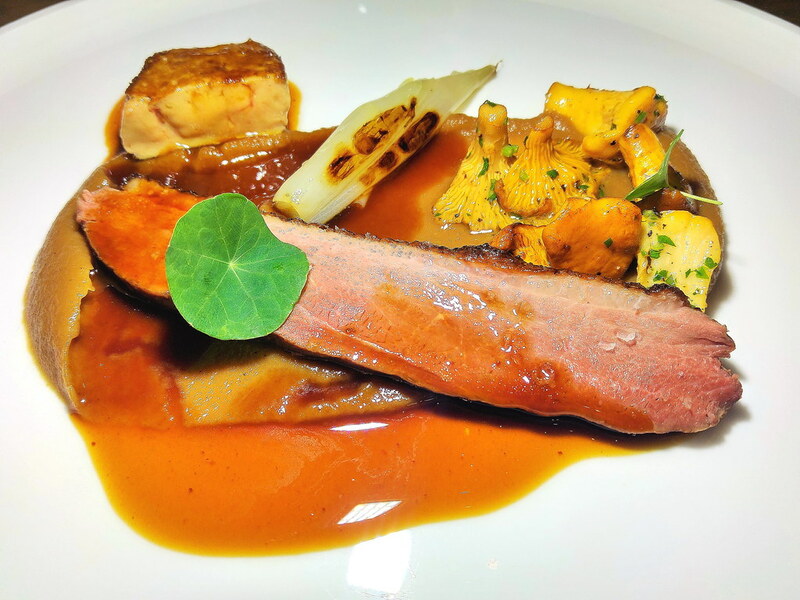 Our last main was Muscovado Duck with Foie Gras, Fermented Grains, Shallot, Chanterelle Mushroom, highlighted with Nasturtium Leaves. The fermented grains was interesting, somewhat like miso. The duck meat was light and tender with a juicy layer of seared fat. However, pairing the meat with the savoury sauce and grain plus the Foie Gras on top, was really a bit too much for the evening. For dessert, we had a deconstructed Black Forest, presented to us with the ice cream still brewing with liquid nitrogen. 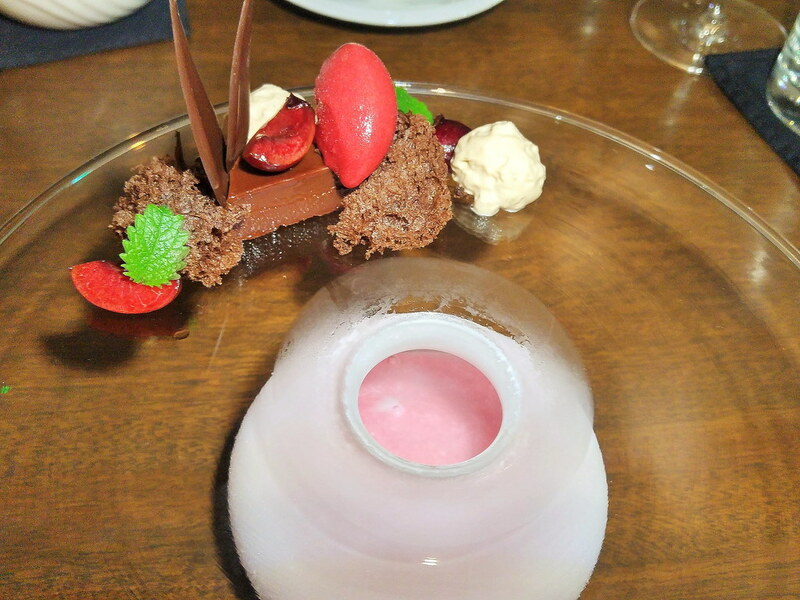 I like the cherry sorbet, which was sweet and tangy but the chocolate was a little too sweet for my liking. Similar to the food menu, Chef's Table also boasts a wine menu with over 100 wine labels, each personally selected and curated in small batches by General Manager and Sommelier, Per Drews. What I really appreciate about Chef's Table is that every dish is highly engaging and intriguing. The play of colours, ingredients, be it big or minute, all seem to tease each and every individual nerve of my senses. Even the toilet is inviting. Don't forget to visit their toilet before you leave for the night.